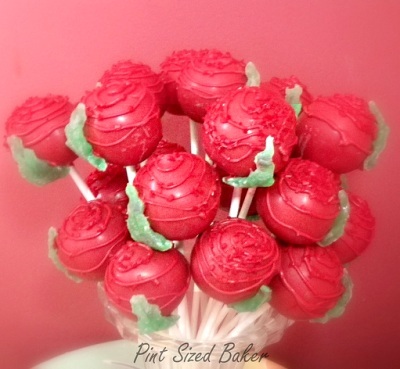 What a cool bouquet of Valentine Rose Cake Pops! This would be a perfect centerpiece for a party or celebration...or a gift for someone special. These would also make beautiful party favors. 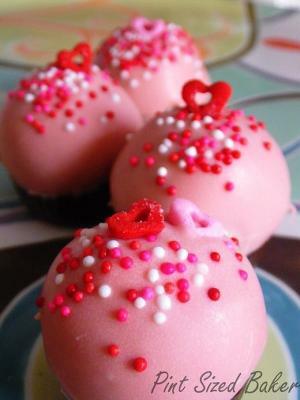 Truffles can also be made with cake pops... just omit the lollipop stick and arrange artfully on a dish. We would like to thank Pint Size Baker for allowing us permission to use her cool photos! Join in and write your own page! It's easy to do. How? Simply click here to return to Cake Pops.